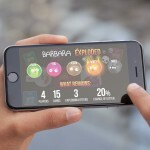 Twelve Monkeys Company has announced what they are calling “the first smart battery-case for iPhone.” Unlike other battery cases on the market, the Feeling Skin detects when the battery is running low. When it does, it begins recharging the battery automatically. 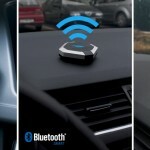 You can also leave your handset in the Feeling Skin to synchronize and recharge it at the same time using a USB cable. Additionally, the case lets you know exactly how much battery remains and what you can do about it. Beyond its battery functionality, the Feeling Skin also has a social component. 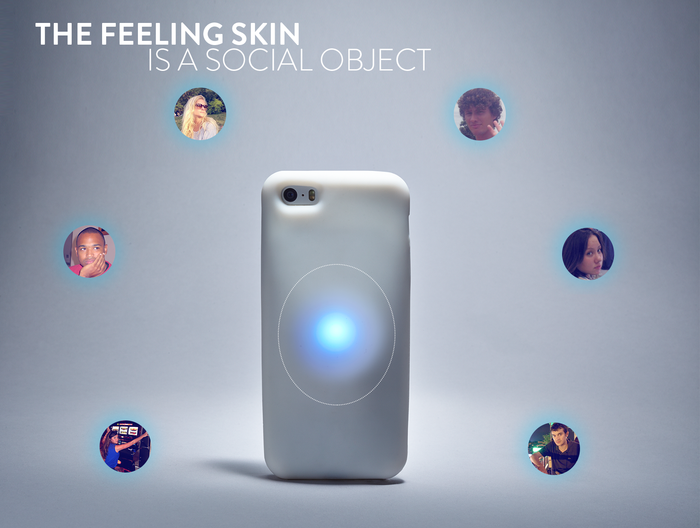 With a Feeling Skin app, users are able to share emotions with close friends. If it’s a pretty good moment, share a “Mood Up.” If it’s a lousy time, share a “Mood Down.” The app also allows you to snap a video of what you’re doing right now, and share it with others. The Feeling Skin app will be available for iOS, Android, and Windows Phone. In other words, your friends won’t need an iPhone to share their own emotions. The Feeling Skin looks very interesting, although I’m not 100 percent sold. Hopefully, we’ll be able to get our hands on one in the coming weeks for a full review. If you’re interested in learning more about the Feeling Skin case, be sure to visit Twelve Monkeys’ Kickstarter page. The company hopes to raise $40,000 by June 1 to get the project off the ground. To date, they have raised just over $12,000.